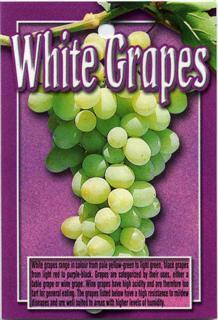 Perhaps the most widely eaten grape and one of the older varieties of seedless grapes. 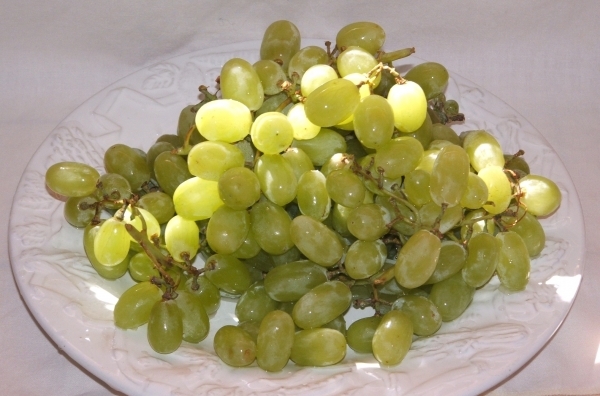 Oblong shaped grapes, with a light green skin, very sweet and juicy with a high sugar content, with half as glucose, and half as fructose. Prefers hot dry climate free of humidity. Update 2012 fruiting well but fruit are (as you would expect) smaller than shop bought due to lack of thinning sprays. Silvereyes (birds) love the grapes the little buggers. Great taste, and well suited to Melbourne. 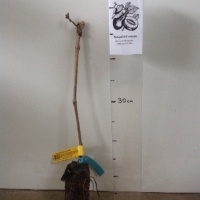 Why do some vine need to be heavily pruned, while other grape vines dont? After working in vineyards for over 8 yrs your see a lot of difference in varieties - just the same as you do in other fruit/veg varieties. I have an eating grape which in the right conditions can be very vigorous but can be have poor growth when conditions aren't good. I love this grape! Our neighbour grew it in Sth Australia and when we moved to Qld we grew a vine for some years before we lost it during building renovations. I brought these vines last year and they have boomed since they were planted. Yet to fruit but I expect to see a good crop next year. No var. listed. Two plants - one ina pot the other in the ground. Neither have fruited whereas the Black Muscat has.